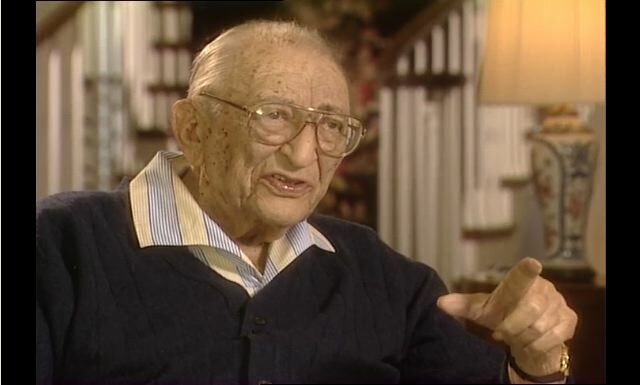 Max M. Fisher was born on July 15, 1908 in Pittsburgh, Pennsylvania to Velvil Fisch (William) and Malka Brody (Mollie). His parents were Russian Jews who came to America the year before Max was born to escape religious persecution. Max grew up in Salem, Ohio and was a stand out on his high school football team. He attended Ohio State University on a football scholarship and graduated in 1930. His life changed forever when he turned down an opportunity to work for Richmond Brothers clothing store in Cleveland in order to move back with his family who were now in Detroit. 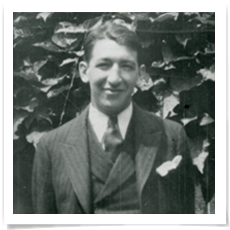 Max worked for his father for a few years before convincing a local industrialist to help finance an oil refinery business. Aurora Oil turned a profit its first month of operation. Over the years that followed, Max made several successful deals and partnerships that expanded his company and made himself and his partners very prosperous. But business and financial success was just the beginning of Max’s impact on the world. He firmly believed that his success obligated him to give back to causes he supported. He became a giant in philanthropy. First, he focused on Israel and the support available from American Jewry. He became Chairman of the United Jewish Appeal and then the United Israel Appeal. He was instrumental in the Reconstitution of the Jewish Agency for Israel and was elected Chairman of the Board of Governors. Max was a trusted advisor to many U.S. Presidents who turned to him on important decisions related to policy toward Israel and American Jewish issues. Though he was a powerful and respected fundraiser for Presidential political campaigns, he never sought nor accepted any official role as an Ambassador or Cabinet member. He knew that would ultimately limit his influence with the President. As a result, he had almost unlimited access to U.S. Presidents and Israeli Prime Ministers throughout the last forty years of his life. His advice and ideas shaped U.S./Israeli relations through some of the most turbulent times in the Middle East. Max was personally and financially committed to rebuilding Detroit. He saw the problems caused by racial tensions and economic issues in his city. Max believed that everyone needed to be given a fair chance to succeed and worked to make Detroit a place where that was possible. Max helped re-energize downtown with the Renaissance Center and the Riverfront Apartments. Later in life he provided funds to help the Detroit Symphony Orchestra build the Max M. Fisher Music Center. Max’s generosity has far exceeded his vibrant 96 years of life. Programs that he championed for helping relocate Jews from around the world to Israel continue to this day. His vision for Detroit is evident in the city’s renaissance. Max M. Fisher was a successful man but more importantly, he saw his personal success as an opportunity to help all of us. Listen and watch as Max talks about his life's creed. This educational website provides a closer look at the qualities that made Max M. Fisher a great man – Wisdom, Service, Generosity & Leadership.